Lucy has joined the Commercial team at Central having previously worked in the recruitment industry for over two years. 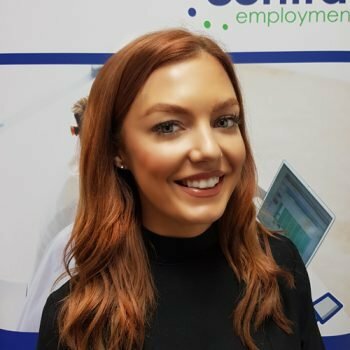 Having studied English Literature at University, Lucy worked in retail before entering into her first recruitment role. She has previously worked as part of an internal recruitment team for a global organisation, before specialising in permanent placements for a national agency. Lucy is a friendly and knowledgeable member of staff who has a passion for delivering fantastic service to candidates and clients alike. Having previously worked as a generalist recruiter, her strength lies in her relationship building skills and ability to gain great understanding of the marketplace. In her spare time, Lucy enjoys socialising and is currently training for the Great North Run.